Iridium has been chosen as the Recommended Developer for a 25 yrs-large-scale modernization PPP rail project at Los Angeles International airport with an investment of US 1.95 billion. 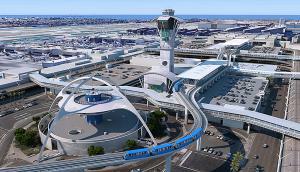 A consortium led by ACS/HOCHTIEF has been chosen as the Recommended Developer for a large-scale modernization PPP rail project at Los Angeles International airport. The consortium consists of ACS Infrastructure Development (Iridium), Dragados USA, HOCHTIEF PPP Solutions, Flatiron, Fluor, Balfour Beatty and Bombardier. The public-private partnership (PPP) rail project includes planning, financing, construction, and 25-year operation of an automated people mover located 15 to 20 meters above the ground which will have six stops connecting new parking facilities, hire car points and metro light rail stations with the airline terminals. A track of around 3.6 km in length, on which up to nine trains will be able to travel simultaneously, will in the future improve passengersÂ’ access to the terminals of the second-largest airport in the USA. The project, with a construction price of USD 1.95 billion, includes the delivery of the 44 Bombardier APM vehicles. ACS Infrastructure Development and HOCHTIEF PPP Solutions each has an 18 percent stake in the consortium (ACS Group 36%). Commercial Close and Financial Close are targeted for April 2018 and June 2018, respectively. Construction is anticipated to be completed by early 2023. The ACS Group is involved in several rail projects globally, including the new USD 1.2bn High Speed Rail link between Los Angeles and San Francisco (USA), the CAD 5.5bn Eglinton Crosstown LRT PPP and the CAD 2.0bn Confederation Line LRT PPP in Ontario and Ottawa (Canada) respectively. In Australia, CIMIC is developing the AUD 700m Canberra Light Rail PPP, a 7-year operations and maintenance contract worth AUD 1.9bn for the Melbourne suburban train network, and the AUD 3.7bn operations contract to deliver the North West Rail Link, amongst other projects. This is one of the EUR 200bn-worth of PPP infrastructure projects that our teams have identified for the 2018-2021 period in our key markets (USA, Australia, Canada and Europe) and highlights our strong position to benefit from the growth of investment in Road, Rail and Social infrastructure globally using the PPP model. The ACS Group also has a strong track-record in airports including the award last year to HOCHTIEF subsidiaries Flatiron and Turner of a project to expand Denver International Airport worth up to USD 700m.